One of the African continent’s most impressive features is the Great Rift Valley. This geographic trench starts in Lebanon’s Beqaa Valley reaching along the African Continent all the way to Mozambique. It is approximately 6,000 kilometres long and is famous for stunningly beautiful sweeping scenes of valleys, lakes and escarpments. It is also so significant that it is visible from space. The valley is created by two plates slowly moving apart from each other which is gradually splitting the African Continent in two. For a section of the valley it is actually split into two branches, the Eastern Rift Valley and the Western Rift Valley, lying around Lake Victoria, Africa’s biggest lake. The Eastern Branch has more volcanic activity, while the Western Branch often known as the Albertine Rift, has the deep lakes including Kenya’s lakes and Lake Tanganyika, the world’s second deepest lake. The Rift Valley is home to thirty active and semi-active volcanoes as well as many hot springs. The volcanic activity in this area has created several volcanic mountains – Kilimanjaro and Mt Kenya, Africa’s highest mountains, being the most famous among them. Another unique spot is the Crater Highlands amongst which lies the Ngorongoro Carter, the worlds biggest caldera and a true Eden for wildlife. Mt Oldonyo Lengai is one of the volcanoes in the Maasai plains north of the Crater Highlands which is still active. All of Africa’s Great Lakes were formed by the Rift Valley and most lie within it. Because the lakes in the Eastern Rift Valley have no outlet to the sea and tend to be shallow, they have a high mineral content as the evaporation of water leaves the salts behind. Sodium carbonate creates an ideal breeding ground for algae. Several species of fish thrive in this environment. As a result, millions of different birds flock to these soda lakes to feast on the abundant food supply of algae and fish. Every lake in the Rift Valley string has a slightly different water composition, from freshwater to extremely alkaline, highly saline to brackish. The freshwater lakes, Lake Malawi and Lake Tanganyika are home to an extra ordinary number of endemic fish, with approximately 1500 cichlid fish species alone. 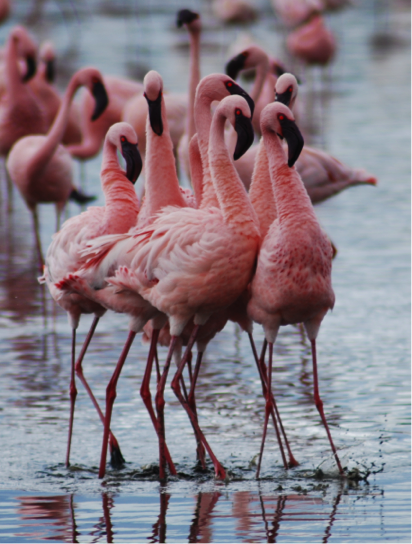 One of the more famous of these lakes is Lake Nakuru, which has a large population of the gorgeous pink flamingo that visits each year. 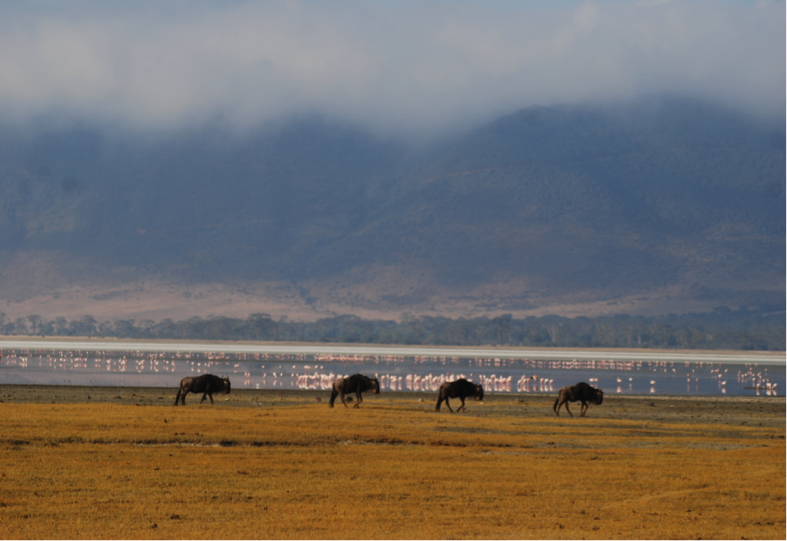 This lake is surrounded by Nakuru National park. Many Kenyan tours allow you to visit Nakuru including the Face of Africa trip and East African Encounter trip amongst others where we head into the park in open vehicles. 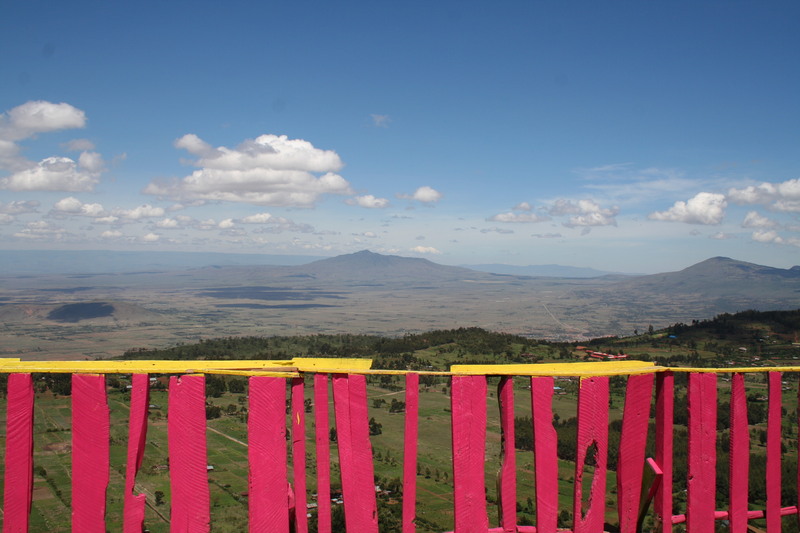 The viewpoints over the Rift Valley on top of the escarpment with sweeping views across the plains past Mt Longonot all the way towards the Masai Mara, Kenya’s most famous park, also in the Rift Valley, are always popular stops. The Western Rift Valley is bordered by some of Africa’s highest mountains in the Rwenzori range. 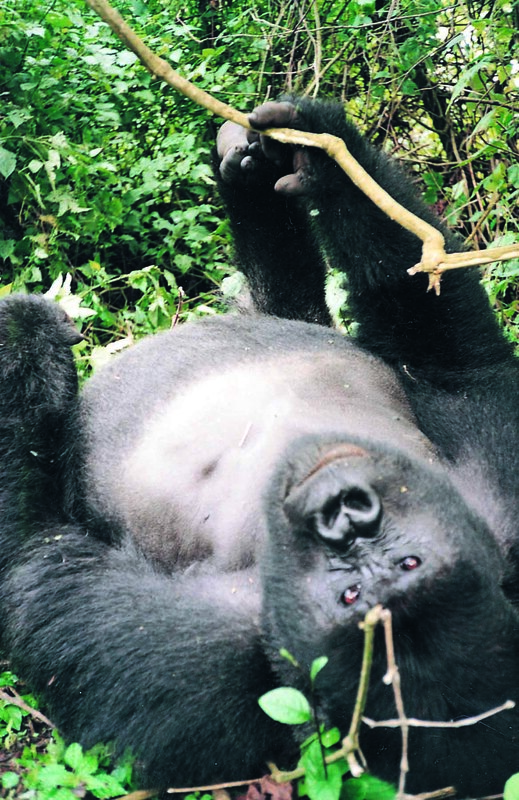 This area is also home to the endangered mountain gorillas which live in the Virunga mountain range. 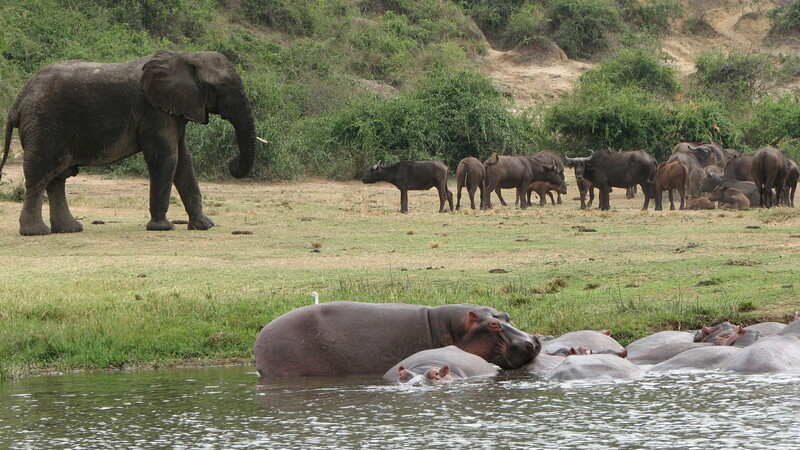 Trips passing through Uganda and Rwanda, like the Northern Trails safari and Flight of the Flamingos safari all stop over for a trek to see these endangered gentle giants. Queen Elizabeth National Park is also part of the Western Rift Valley, and we stop over here on many tours such as the Absolute Safari and Simba Sounds safari. A cruise on the Kazinga channel which links Lake Edward and Lake George, another two of the Rift Valley lakes, is a special treat on these tours.